Centurion Pro Silver Bullet Cover - FREE Shipping! 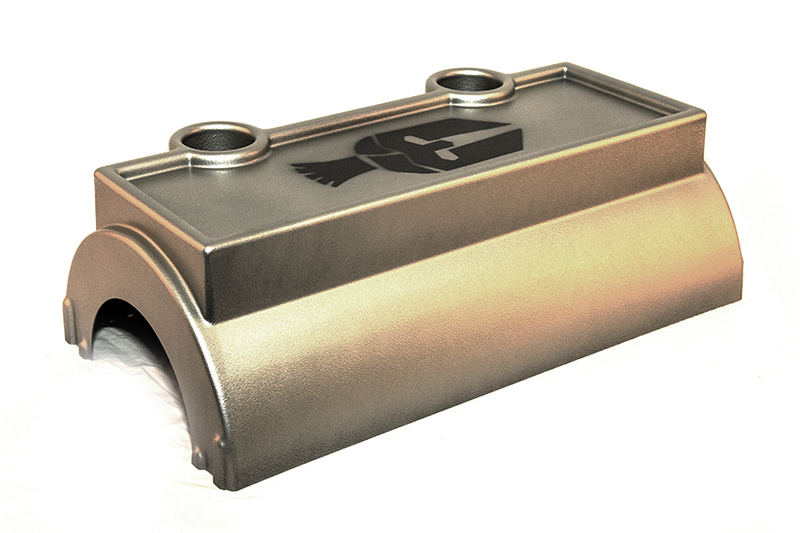 This cover is specially designed for the CenturionPro Silver Bullet. Its provides a slick and high-end finished look, catering to its contemporary, top-notch design. Made of a hard plastic material that’s easy to clean, this user-friendly product comes with two cup holders that are built into the lid. The lid itself creates a convenient vacuum for the bud trimmer by sealing the top of the machine. Please note that it’s not compatible with other CenturionPro trimmers as it is uniquely tailored to our one-of-a-kind Silver Bullet. The Silver Bullet Cover is incredibly durable and lightweight. It’s the perfect finishing feature for one of the best bud trimmers on the market. It consistently protects your top-notch product from outside liquids and scissors ect while the machine is in operation. Users are reminded to keep the lid on while operating the bud trimmers as an added safety precaution. This also prevents any accidents, as the tumbler spins at a high rate of speed always providing optimal results.